Coolmore Australia is delighted to announce the addition of 5-time G1 winner Lookin At Lucky to its roster for the 2011 Australasian breeding season. A son of triple US champion sire Smart Strike, Lookin At Lucky was crowned Champion 3yo Male at the recent Eclipse Awards ceremony in Florida, the annual event which honours the champions of the sport. Having been crowned champion 2yo male at last years awards, Lookin At Lucky becomes the first colt in 31 years to be crowned an Eclipse Award winner at 2 and 3. Lookin At Lucky joins just a handful of luminaries to have achieved such a feat in the last 50 years, including the likes of subsequent champion sires Seattle Slew, Buckpasser and the mighty Secretariat. A May 27th foal, Lookin At Lucky made his debut shortly after his second birthday and quickly compiled a record that confirmed trainer Bob Baffert's opinion that the colt was something special. Following his debut score, he produced a game effort to take out the G2 Best Pal Stakes before progressing on to annex a pair of G1 wins in the Del Mar Futurity and the Norfolk Stakes, firmly establishing himself as the best of his generation in the US. An unlucky second in the G1 Breeders' Cup Juvenile was soon avenged with a win in the G1 Hollywood Futurity Stakes before the close of 2010, a win which saw Lookin At Lucky become the first colt to win 3 G1's as a two year old in over 20 years. Lookin At Lucky's three year old career was no less spectacular. 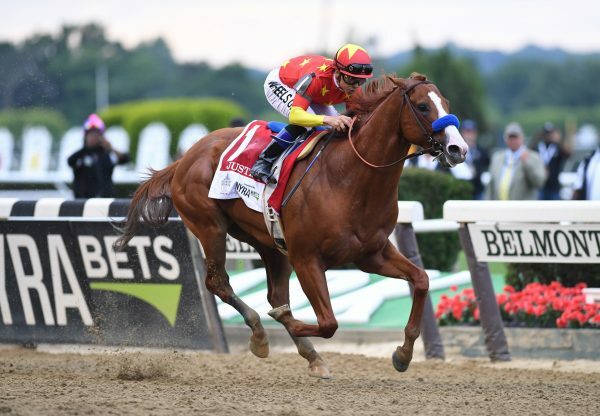 His two G1 wins included a spellbinding tour de force in the Haskell Invitational, a race in which he coasted clear of a quality field to win by an ever increasing margin of four lengths. His other G1 score came in the time honoured Preakness Stakes, a race in which he disposed of the likes of G1 Kentucky Derby winner Super Saver. Lookin At Lucky is bred on a similar Mr Prospector/Danzig cross to top-class sire Distorted Humor (who enjoyed considerable success with his two Australasian bred crops). 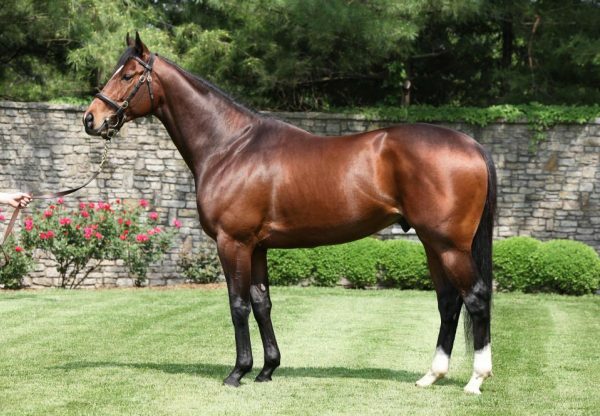 He is one of over 70 stakes winners worldwide for his sire Smart Strike, whose other leading progeny include champions like Curlin and brilliant turf performer English Channel. 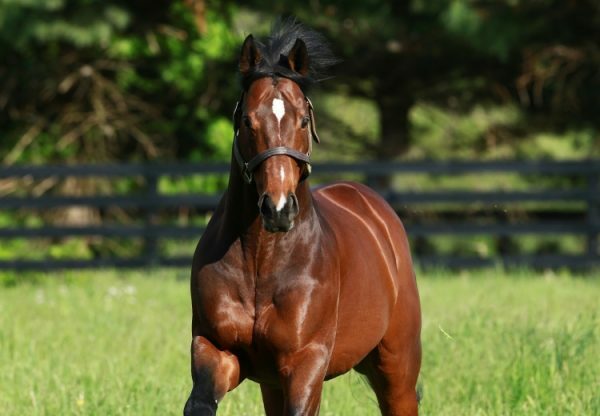 Coolmore's Tom Magnier commented; "Lookin At Lucky is an outstanding young stallion prospect. His form, at both two and three, marks him down as not only the best horse of his generation in the United States but one of the best seen in a long time and it is a well illustrated fact that the best racehorses make the best sires." Coolmore Australia's General Manager Michael Kirwan added "He is a champion racehorse from a champion sireline and as such has all the assets necessary for sire success. He was a racehorse that possessed abundant speed and that of course is a pivotal feature of sire success in Australasia. Just for good measure he is an exceptional physical specimen, big and strong with great quality. We can't wait to get him out here."